You could be a new entrant to the world of entrepreneurship or a seasoned veteran; you need your business to communicate with your audience and reach them in a way that is effective and makes them your loyal followers. Instagram is highly popular amongst today’s social networking audience to share images and pictures of people, their hobbies and their passions. Instagram is a site which provides massive reach. Instagram is a highly popular social networking site with a considerable number of people spending their time IGing. A study published on Iconosquare has estimated that there are more than 300 million active users on Instagram. What will interest you as a business owner is that 70% of these users have looked up brands on IG. Marketers and advertisers need to take this into account as their marketing efforts have to be focussed on ensuring that their message reaches the largest possible reach. For this, Instagram is indispensable and a wonderful opportunity to utilise the reach. Instagram allows brands to reach new audience using a simple strategy- through visuals and short text messages. 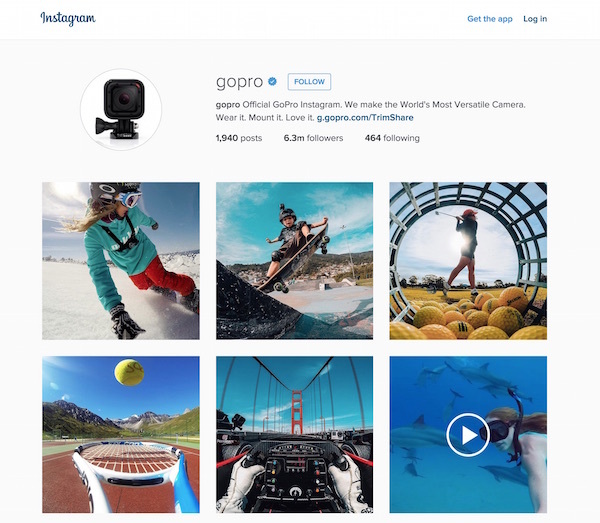 Companies can use Instagram profiles to give an inside eye into what their company does and stands for. As with every fad, Instagram has quickly developed into a tool for marketers and businesses to promote their brands by engaging with audiences. Instagram advertising offers a great way for brands to engage audience. But brands need to be cautious while using Instagram. They have to ensure that their marketing and advertising strategies are smart and do not sound promotional which can put off users. 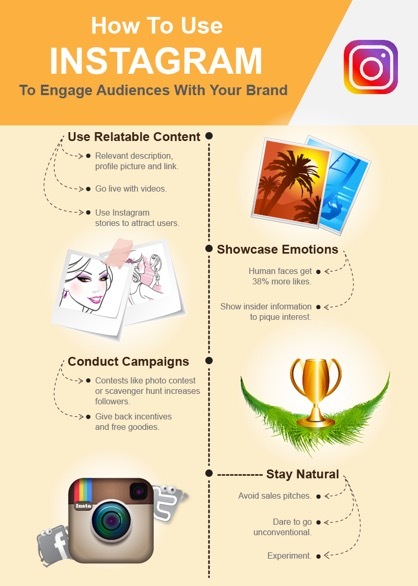 With that in mind, here are some ways by which brands can intelligently use Instagram to showcase and promote their brands and products. Promote your product in a natural way. Avoid sales-pitches. Instagram follows a different culture and typical sales messages are a huge no. Write a catchy non-promotional description. Choose a name and profile image that consumers can relate your business to. Do not forget to include a link. Share pictures that audiences can relate to and get excited about. A good example is a picture of a collection of shoes uploaded by @hm. Another example is by @jcrew where they used a swipe functionality to get users to their blog, instead of a conventional CTA. The users can view their blog on the third swipe. Instagram photos are a huge craze amongst audiences because they present realistic action in progress and are photos of the “instant”. They depict real time fun and reflect real sides of people, places and events. Hence, brands have to ensure that they use Instagram in a meaningful way to promote their products or services which connects with the interests and attitudes of the people who they are targeting. So if the brand is about childrens’ books, the images used for advertising should promote that. 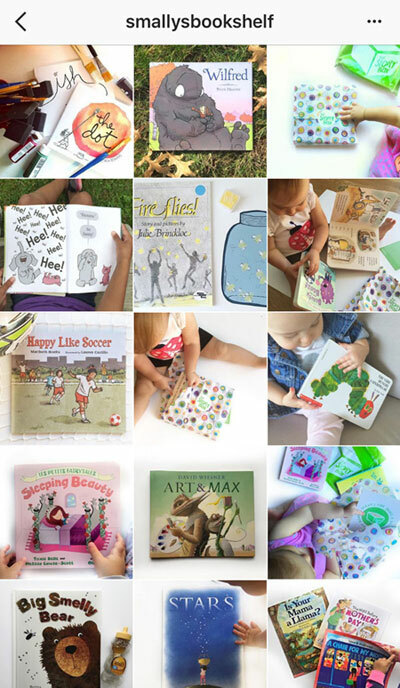 You can use nice images of children reading the books you are publishing, which would effectively connect with the audience (in this case, parents) who are looking for such books. A few good examples are @tinyreaders and @smallysbookshelf whose pictures appeal to not only parents, but also children. Personalise your IG branding efforts. Social media networks provide the best opportunity to brands for reaching a vast audience. You can enhance this by personalising your uploads. One way to do this is by bringing to the audience, the qualities or experience that your product brings. Another way is by uploading posts with people in them, either models or staff from your company. People relate to human faces more a more than inanimate objects. 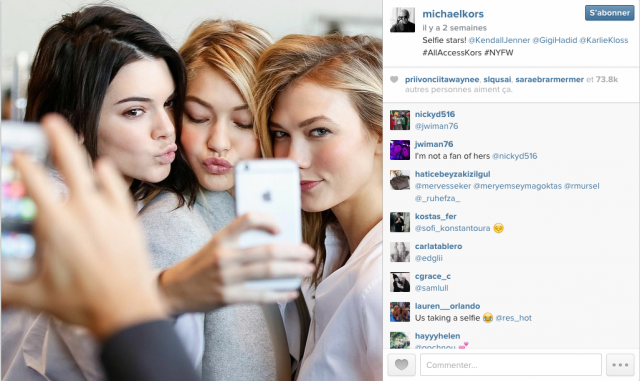 A brilliant example of this is a “behind-the-scenes” picture posted by @michaelkors. It shows a click of three models taking a selfie. The success of this picture can be attributed to giving the audience an insider look at something that is both, relatable and intimate. Use Instagram to drive promotional activities. Instagramming is a great way to engage, motivate and entice people to respond to call-to-action drives. Going live and using Instagram stories is a great way to give the users great content. Competitions using hashtags and Instagram photos are a great way to engage the audience in taking part in activities where they have to respond to some branding or advertising objective. You can run contests such as like contests, comment contests and photo contests. Fans enjoy these activities immensely and they contribute to building up the brand presence. In addition, there is also an establishment of a connection between the audience and the brand. A good way to run campaigns is to give an incentive back to the user to follow you, as done by @pnwonderland. Another creative example of IG campaigns are by @heineken and @benandjerrys where they conducted contests on “scavenger hunt” and “upload your euphoria moments”, respectively. These campaigns were not related to their products directly and so were not a typical sales campaign, but provided interactive experiences for IG users. Remember, if you are promoting your brand through Instagram, you should demonstrate the brand’s usefulness and value it confers to people. Show how the brand can add to their personality. When audiences see you showing them how the use of your products can enhance their life, they would be more enthused about buying it. 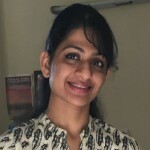 Meenakshi Venugopal is the co-founder of Hashtag17, a bespoke website designing service, and she works with small and mid-sized business helping them set up their online presence. When she is not working with her clients, she guest blogs on topics related to technology, education and management.